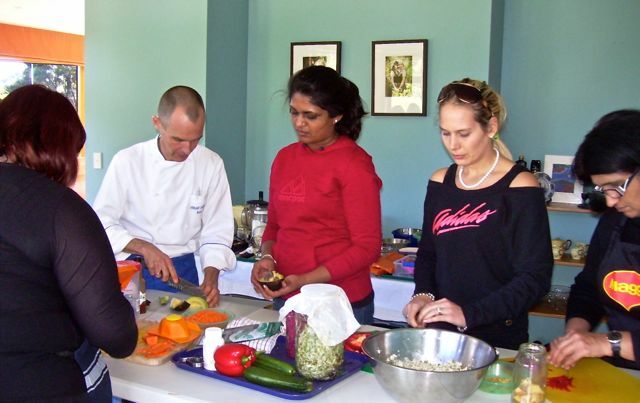 Vibrant Earth Creations Ltd. is offering the first and only hands-on Raw Food Chef Training in Australasia. 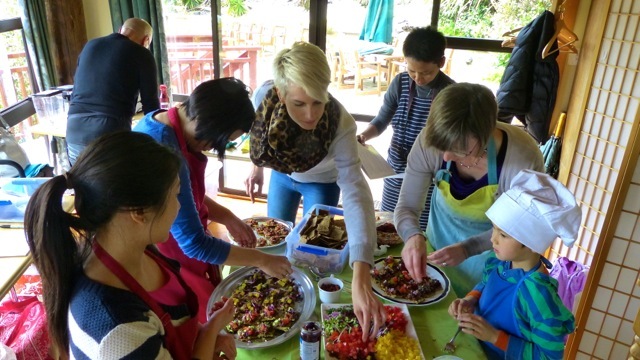 Next intake: 13-15th November 2015 at Bella Rakha Retreat in West Auckland! This is a full immersion course, unique in its hands-on style of teaching. Students will prepare all recipes, dishes and meals themselves under close supervision and mentorship of Chef René and his experienced team. 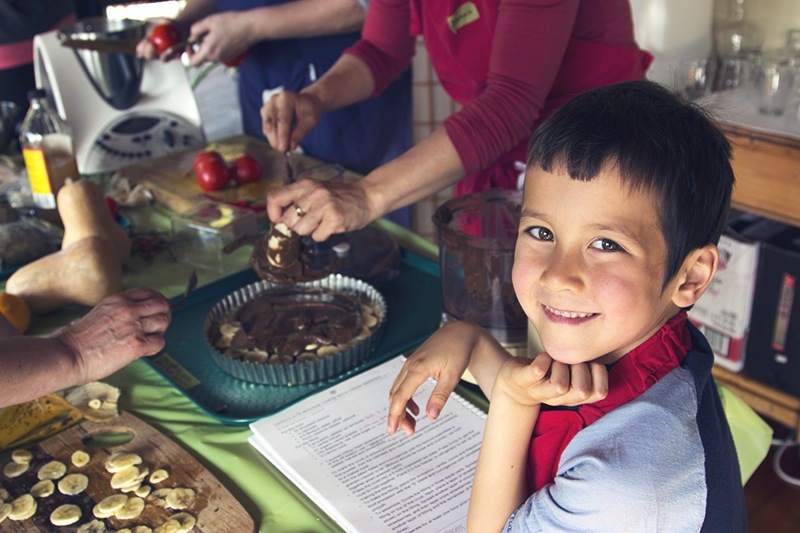 The curriculum will progress through the essential knowledge and skills of basic raw dishes to advanced raw gourmet cuisine. 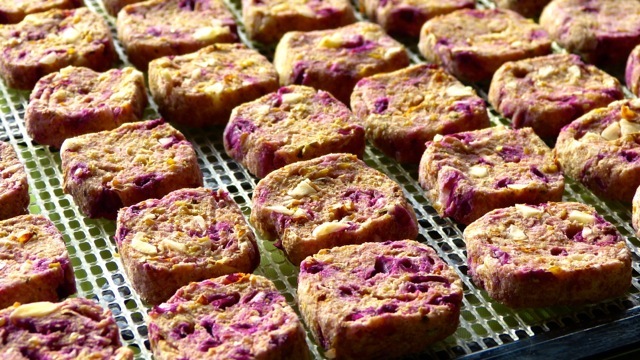 It will also touch on the healing aspects of raw plant-based foods. Participants are expected to have ‘some’ kitchen experience but most of all a passion for food preparation, a willingness to learn and a commitment to excellence. 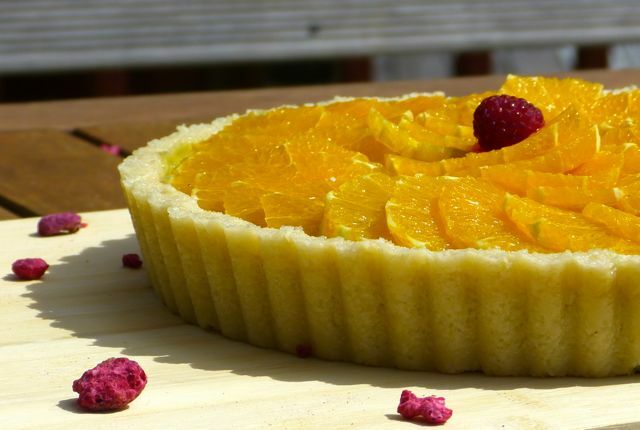 This course is aimed to equip you as a student with the knowledge and skills to confidently prepare a great variety of living foods both at home or in commercial settings. Special emphasis is put on adapting recipes to seasonal or regional changes and availability/substitution of ingredients. 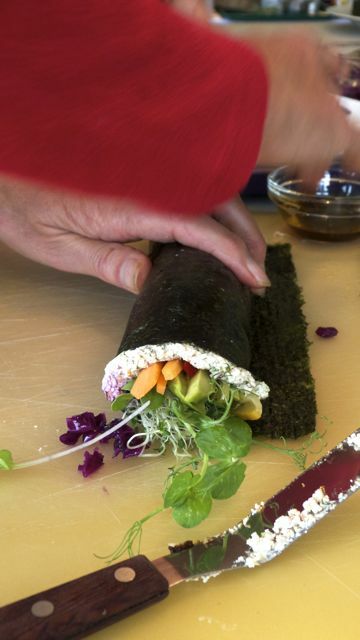 Besides teaching a basic understanding of the philosophy of plant-based living foods this course is mainly aimed at improving the culinary skills of private people as well as chefs working in the hospitality industry as well as restaurant/café operators who want to expand their portfolio. 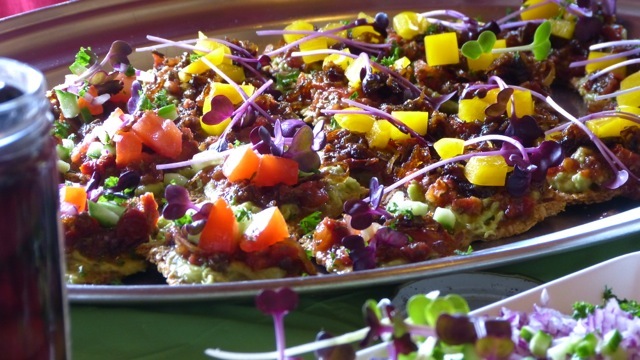 Passion for the benefits of vibrant foods is the common denominator. This Level 1 certification course is followed by several opportunities to work with René at caterings, classes or workshops. The Level 2 certificate is, at this point, not bound to a set course. The benefit of this training vs. short demo classes or workshops is not only its hands-on nature. 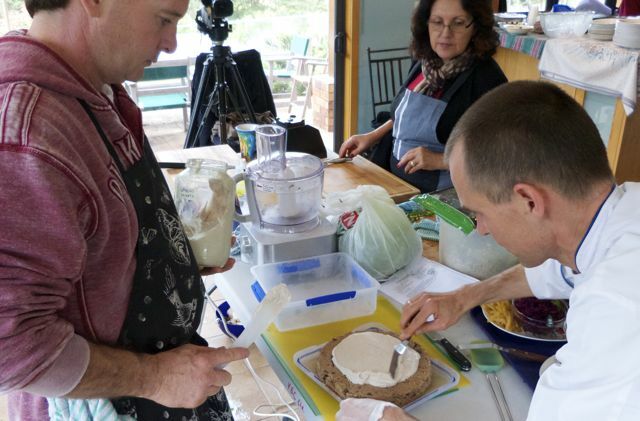 The three days in a row allow the students to follow different basic raw food preparation techniques from scratch to finish. Examples for this are the making of dehydrated crackers and snacks, sauerkraut and other fermentation techniques. 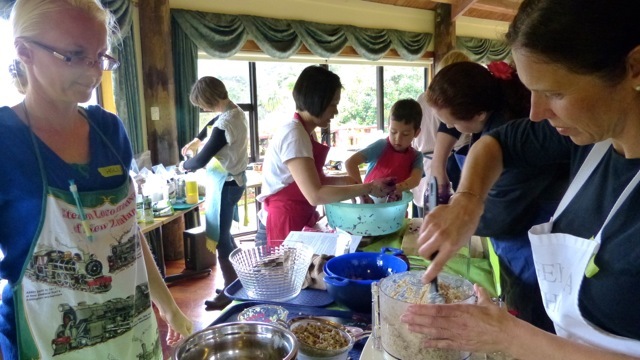 We currently offer this training at Bella Rakha Retreat near Auckland, New Zealand. Inquire here about other locations, available dates and rates. 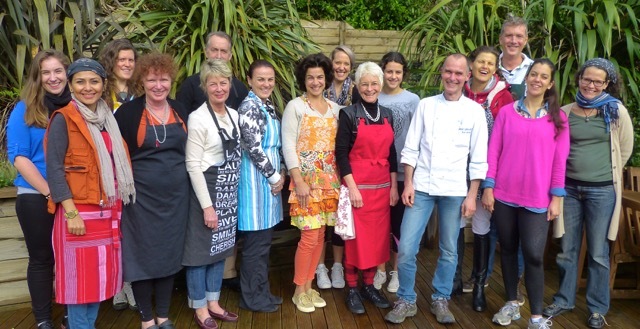 The next Level 1 Raw Chef Training is scheduled for November 2015, Fri, November 13- Sun, November 15. 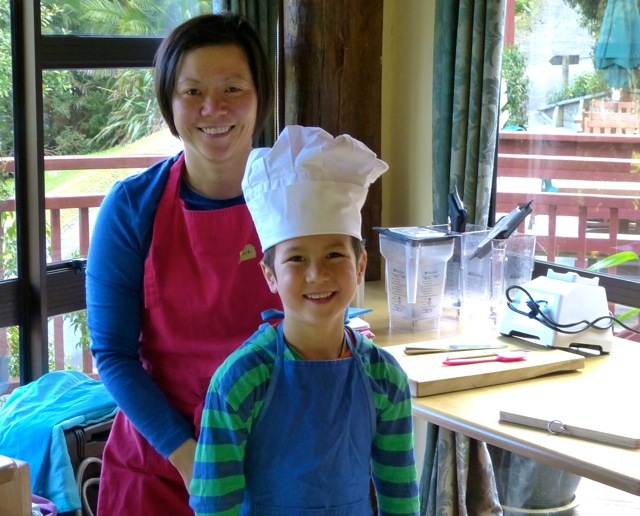 The November 2015 training in Auckland, NZ, will be offered for NZD1600+gst/person. Bella Rakha has basic on-site accommodation in twin share bedrooms with shared facilities down the hall. We have 10 beds/5 rooms available for our students from Thursday to Saturday night at no extra cost for the first ten bookings. If you travel from outside of Auckland we recommend you arrive on Thursday night to settle in before the course. Payments can be made either via NZ bank transfer: ASB, Vibrant Earth Creations Ltd., 12-3059-0623134-00 or with credit card via PayPal below. Before submitting your booking and payment please make sure you have read and understood this article! A 30% deposit (NZD480+gst) is required upon booking. The remainder of the course fee is due by October 15th, 2015. Please contact us if you wish to arrange a payment plan (course fee paid in full by November 13, 2015!). See also our Terms and Conditions. An equipment list will be mailed out to all students one month before the course. Basic items, like a chef’s knife, paring knife, wooden cutting board, apron, tea towels and closed toe shoes are expected to be supplied by yourself. Other items are optional: food processor, blender, dehydrator; yet we recommend that you work with your own machines at the training to more comfortably integrate your learning when returning home after the course. This outline will be backed up by around 78 real recipes, discussed first and then prepared by the students – to finally serve as part of our shared meals. 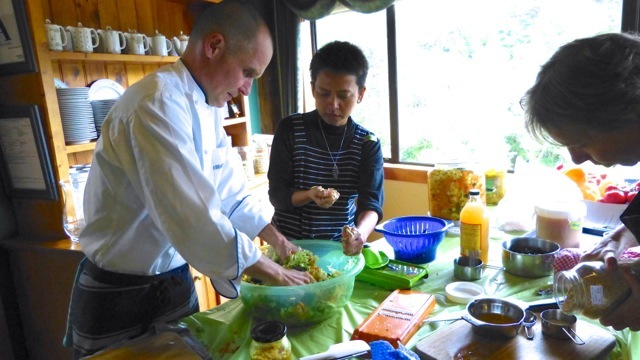 Raw Chef Training Level 1 gave me added skills in food preparation using raw foods for a variety of dishes. 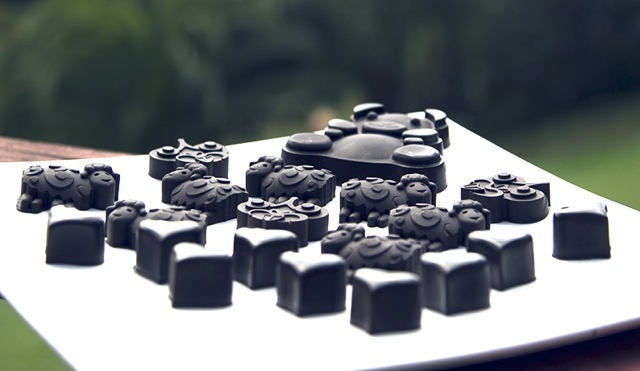 Rene’s energy flows over to his easy manner and humour in his workshops and his products which delight the palate. 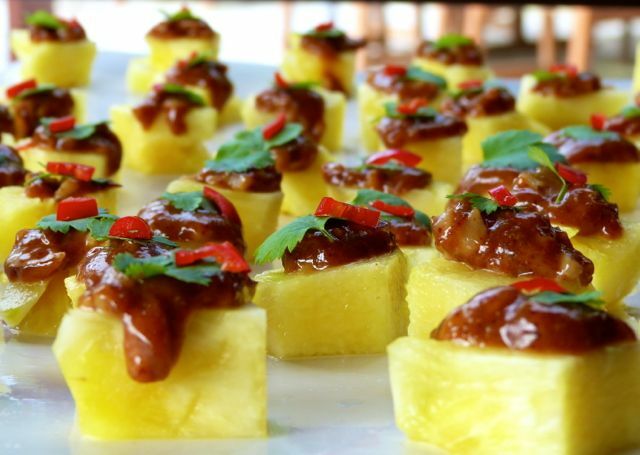 The dishes are presented with flair and skill to be visually appealing as well as deliver health and a sensationally delightful taste experience. Even foods I have never found appealing e.g. mushrooms take on a new persona under Rene’s expertise. I would definitely recommend Rene’s workshops to anyone seriously interested in raw food preparation or improving their health. Many heartfelt thanks Rene, for a wonderfully informative weekend. Q: Why did you decide to come along? A: It has always been a topic I am passionate about and this is the first/only (?) training available in Australia and NZ. And I came along because Rene is tops! Q: What are the most important things you have learned in this training? A: To be creative with ingredients. 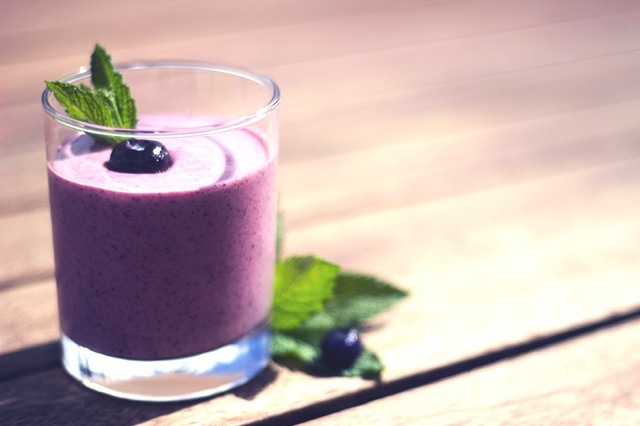 To incorporate fermented foods into the diet. Q: What did you enjoy about the training? A: The passion & knowledge of Chef Rene, the abundance of food, the flexibility of the course and the amount of knowledge. Also the relaxed, friendly and loving atmosphere. And here Natalie’s glorious full-length account. Enjoy! “If you had of said to me ‘Raw Food Diet’ a year ago, a monotony of cabbage and cucumber sticks would fill my mind. Not only would it be completely undoable, I thought it was the exclusive domain of extreme hippies and notorious dieters. But I have had my mind and stomach opened to a whole new world of food that isn’t just dank veges. But a concept of eating that has changed my weight, mind clarity, digestion and – gasp – it is delicious. Growing up with a health conscious mum, I had various brushes with spirulina drinks, wheatgrass, cabbage detoxes and green juices but a love of all things deep fried and salty won out every time. As a teen I was a tiny size four, but ate like a trucker. Suddenly my 20s hit and so did a bout of cellulite, gut troubles and yo-yo weight. I got bored of the gym, low-carb diets and limiting calories so the problems continued. I was tired, overweight, plagued by fierce adult acne across my face, neck and chest, was bloated daily and I was getting sick of it. By default last year I began eating a more vegetable based diet thanks to my parent’s interest in a groundbreaking book called The China Study (written by T. Colin Campbell) that advocates a no animal product, vegetable laden diet. I started losing weight and was having less stomach troubles. I’m not going to lie, it was a vast lifestyle change. I went from having dinner plate sized steaks to vegetarian meals 60 per cent of the time. But I was seeing a change. 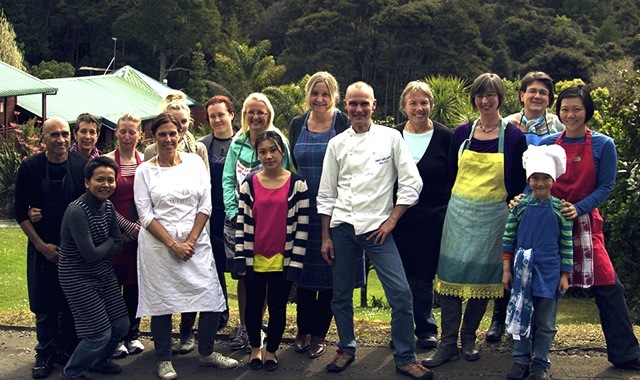 A few months ago my mum then heard about some Raw Food courses with internationally acclaimed raw chef, René Archner. I went to one class expecting to have to feign excitement about salads. Next thing, René was serving up a silky zucchini soup, studded with chilli laden sunflower seeds. Delicious! There was a vegetable fettuccini mixed in a creamy Alfredo sauce, an apple pie – all without cooking and all honestly tasting amazing. It’s hard to explain, but everything tasted more vibrant, fresher and sweeter. My interest was definitely piqued. How could raw food with no meat content be so good? I signed on to do the weekend level one chef training course to find out. The weekend was hugely interesting and opened me up to a whole new area of food. And although I wasn’t expecting results in such a short time, I lost weight despite gorging myself silly on all the meals we prepared over the weekend. My skin, which was dry and acne-ridden thanks to the change in season, became more even toned and less Sahara desert. And I was worried because I wasn’t sleeping in even if my schedule allowed it – I didn’t need it. My energy was up and my digestion more settled. I always thought by choosing healthy food you’d be choosing vitamins over taste. ‘Bland but beaming with health’ kind of thing. And for someone whose best friends are garlic and salt, simple tastes are not my thing. Not everything we made was labour effective – cutting a wad of celery to rice sized bits is the first thing that comes to mind – but the tastes were always amazing. Take the heavenly minestrone soup we made. The finished result looked exactly like the cooked version but tasted fresher – not just a tomato and zucchini mash after it’s been cooked. Because not only the colours, enzymes, vitamins are boiled out when you cook, when it’s raw the subtle flavours are kept intact. 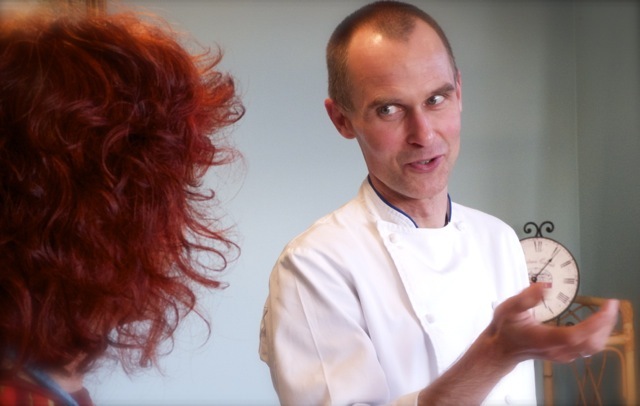 From knife skills, to super-foods, to dehydrating – René covers everything. As a former Mechanical engineer he is direct, specific and full of knowledge. Having worked with raw foods since 2001 and a former 100 percent raw foodist for five years, he knows his stuff. But what I liked about René – as well as his quick sense of humour – is he never judges. I thought I’d be maligned for being a meat eater at the chef training. But René, having spent a long time on a exclusively raw diet, now eats a small amount of cooked foods and meat to supplement his diet. And he’s honest about his journey. He credits raw food for providing a balance and clarity to his life not to mention plentiful heath benefits. But he also says a strict raw diet for prolonged periods places your body into a detox mode which he believes is excellent for small amounts of time, but for long periods can be trying socially, mentally and physically. And with topics covered things like detox versus sustenance, fermented foods, emotional aspects of food and ethnic cuisines – René takes a fun and holistic approach to raw foods. Stand out meals created by the students over the course was a decadent chocolate mousse torte with fresh bananas and orange. Seriously good but sneakily created with avocados, organic cocoa powder, shredded coconut and dates so it’s actually good for you. I was keenly surprised by sushi created with a blend of vegetables and seeds/nuts as a rice replacement that looked and tasted incredible. And crisp croquettes made from portabello mushrooms smothered in moorish coconut based sour cream. Another winner had to be a Thai Stir Non-Fry. Julienned fresh vegetables wrapped in a Thai-inspired sauce thick with ginger and lemongrass and dehydrated briefly to meld the flavours. This wasn’t a replacement for Thai curries; it was a health enhancing improvement. I’m not going to chew on a carrot for every meal from now on, but the course and René’s teachings provided me a new direction and understanding for fresh foods and why they are so important. I have the confidence to know that seriously delicious meals can be created from your garden. And after eating them, you feel better and lighter. Hi there, do you have dates available for the next course?